Sakhile holding The Buff Issue and The Launch Issue. 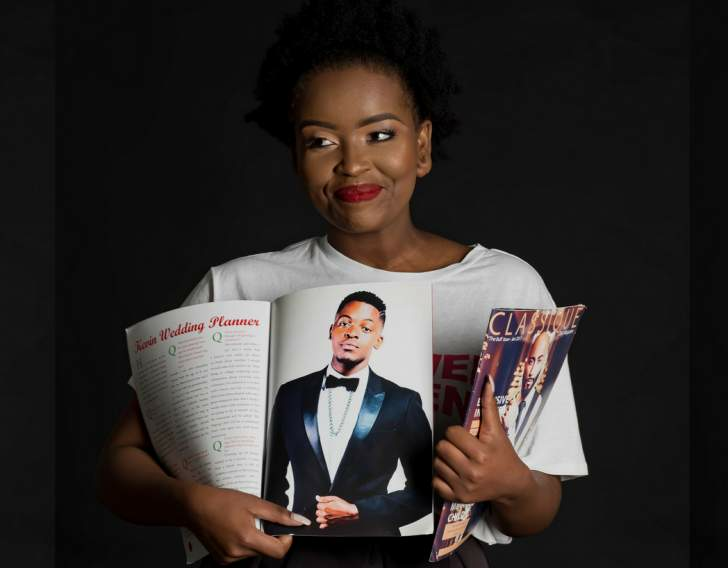 Founded by Sakhile Classique Khanye and independently published by RMPublishers, the publication actually started as an online blogging platform before its transformation to magazine in 2016. The launch issue was released on 23 July that year at the Publishers, Writers and Readers (PaWaR) event in Birmingham UK and the second, The Buff Issue, was released on the 27th January 2017. 'Classique Q&A showcases those making great strides in our community and who inspire and motivate others in their own journeys. We are excited to be able to give that to our audience. We all need a little inspiration to achieve our goals,' commented RMPublisher's Rudo Muchoko as she explained the aim of the magazine. 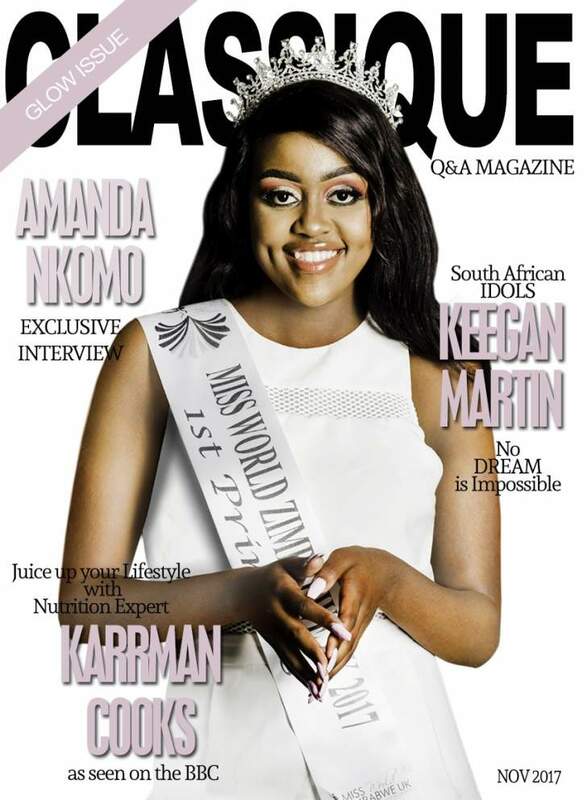 This issue of Classique Q&A features individuals that are doing remarkable things in the community and in the process are 'glowing' in their own light and making us proud. Gracing the cover is Miss World Zimbabawe UK's First Princess, Amanda Nkomo. Inside are multiple feature Q&As including one with Keegan Martin, SA Idols 2016 winner. He talks about how he repeatedly knocked down hurdles right from his first audition for the reality singing contest to being crowned the winner. Chef Karrman, who has been featured on BBC Good Food, shares her healthy living food secrets and Isabella talks about her plans to dominate the red carpet with her fashion designs. Also on show are a peek behind two of this year's most talked-about events. The Glow Star Feature is Beritha Muzondo, who hosted a high-profile high tea in July 2017 to raise funds for children in need in Zimbabwe. Crossing the PowerBridge talks about the inspiring networking event hosted by the ZIWA Team in October 2017. As if that's not enough, the magazine is dazzling with talented stars in media, sports and music.